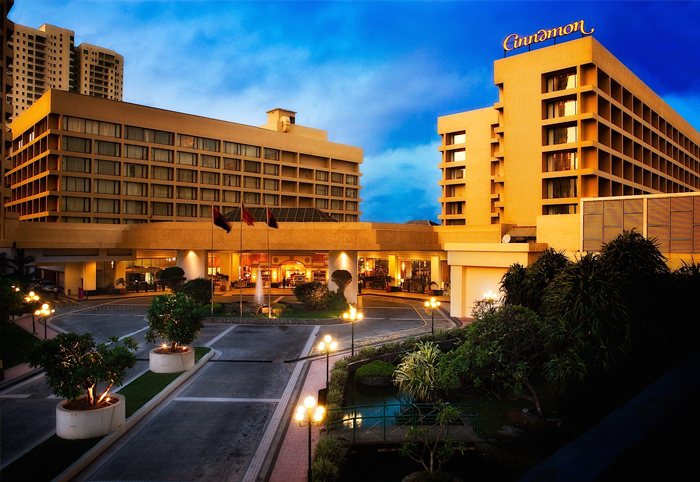 Cinnamon Grand is a five-star hotel and is the largest hotel in the island consisting 501 rooms, 14 restaurants, 10 meeting and event spaces. 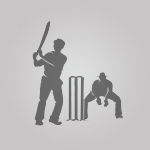 Hotel is situated in a central location in Colombo just five minutes from the city's highlights and 45 minutes away from the Bandaranaike International Airport. 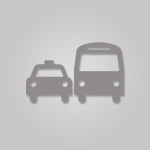 Premium Executive Rooms get 24 hour butler services. 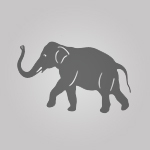 Hotel offers many dining experiences ranging from fine dining to seafood markets, old English pubs to a Shisha lounge, Sri Lankan village life to luxury living, traditional Chinese to South Indian delicacies. 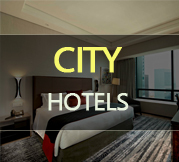 Hotel offers other facilities such as a gymnasium, 2 swimming pools, tennis court, spa, business center and many lounges. Further, Cinnamon Grand has an adjoining up market three-story shopping mall called "Crescat Boulevard" with food outlets for your convenience. 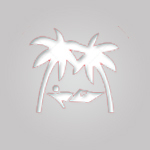 Pool Café – Tropical cocktails/mock tails, Fondue, Italian pizza, Hot grill, Finger food and Sandwiches. 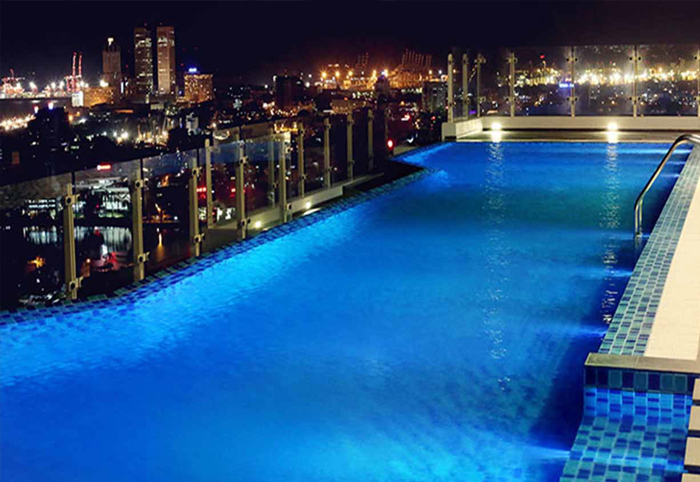 The Kingsbury is the newest 5 star hotel in the city of Colombo and the Continent Winner – Indian Ocean, Best Luxury Business Hotel at the World Luxury Hotel Awards 2015. 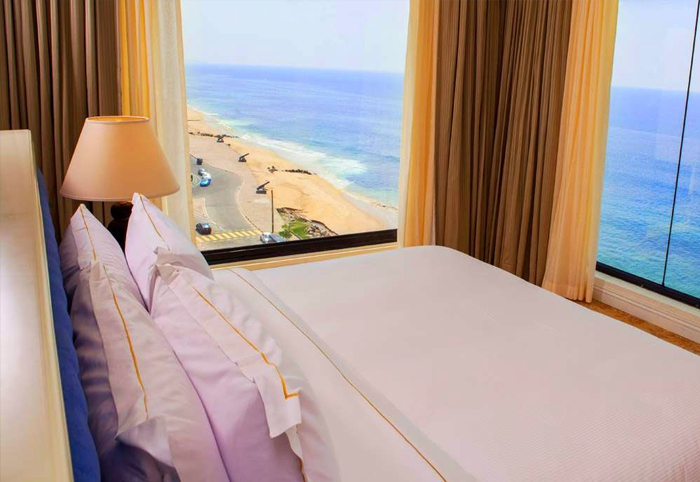 It is located on the banks of the Indian Ocean with stunning ocean views from every room, The Kingsbury also has unparalleled views of Colombo city, Colombo harbor. 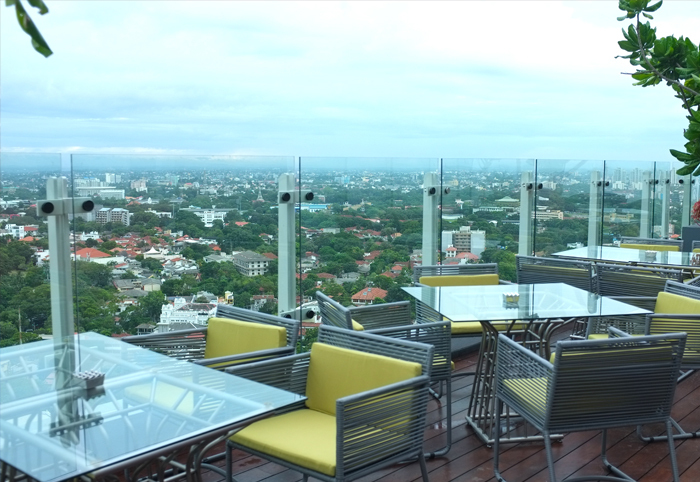 Its "Sky Lounge" is regarded as the best location to experience the tropical sun sets. 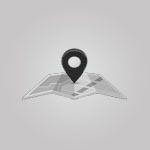 It is situated 1 hour away from the Bandaranaike International Airport and close proximity to the World Trade Centre, Central Bank of Sri Lanka, shopping malls, clubs, pubs, restaurants as well as historic sites. 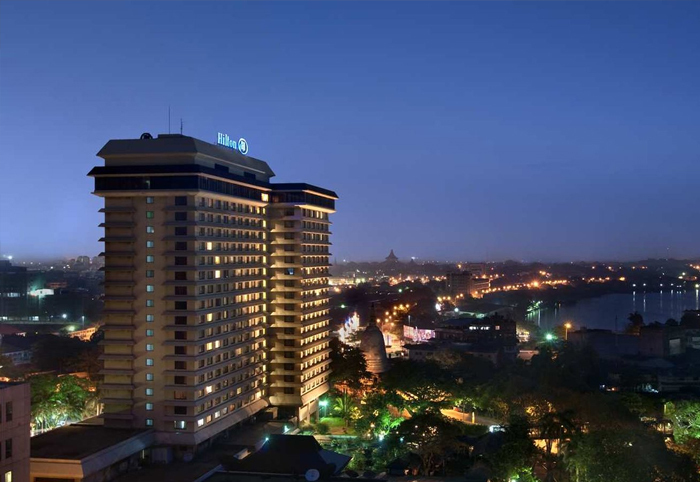 Hotel has 229 lavish rooms with spectacular views including 207 Luxurious Rooms, 21 Lavish Suites and 1 Presidential Suite. 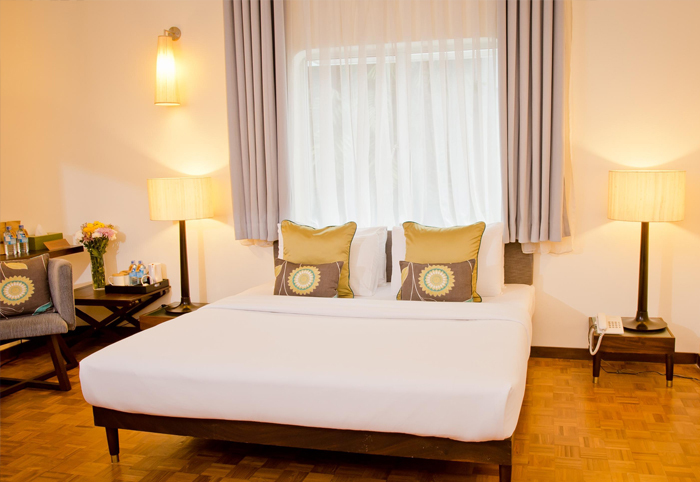 In-room facilities include white marble bathrooms, A/C, overhead fans, LCD TV with satellite channels, IDD telephone, tea/coffee making facility, Wi-Fi internet, digital safe, 24 hour in-room dining and laundry service. 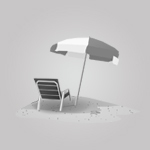 Baby cots or extra bed is provided upon request. Kingsbury has many restaurants, bars and lounges providing many dining options including "Harbor Court" restaurant offering global cuisine, "The Ocean Seafood Restaurant" offering amazing seafood and "Yue Chuan" offering an array of authentic Cantonese & Szechuan specialties. 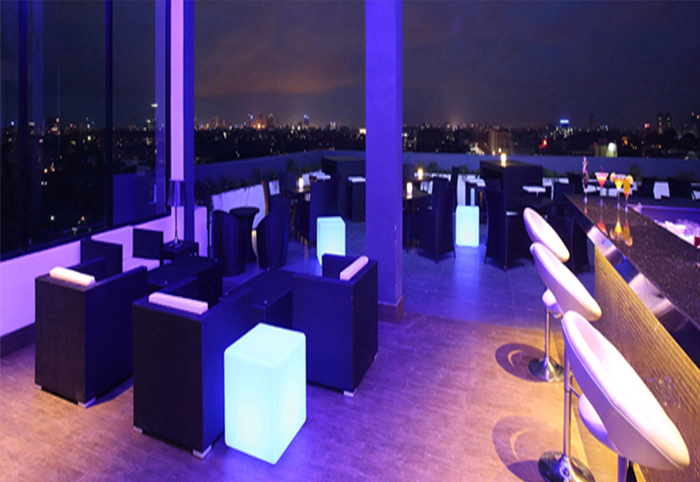 The star lit Sky Lounge – bar and night club located at the roof top offers most creative comfort cuisine, Cigars, premium champagnes and signature molecular cocktails. 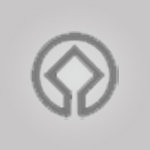 Other facilities include an infinity Swimming Pool, Pool Bar, fully equipped fitness center, spa offering relaxing massages and beauty treatments, a fully equipped business center, 24-hour In-Room Dining, Wi-Fi Internet, Multilingual Staff, Sky Lounge, banquet facilities, Children's Amenities and Babysitting Services. 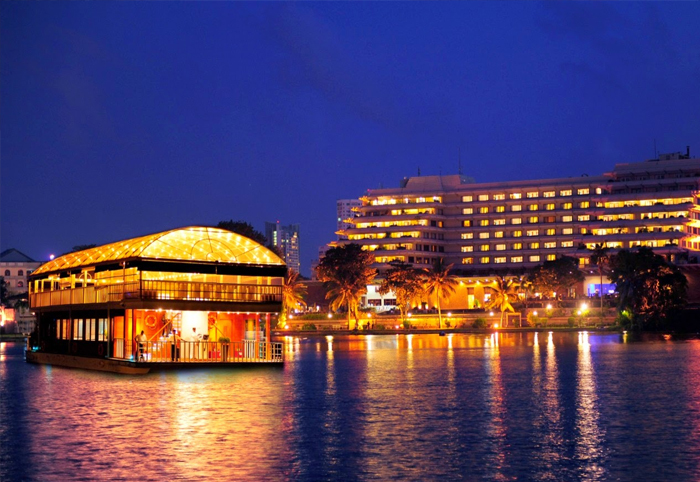 Cinnamon Lakeside ranked the Best Five Star City Hotel by Sri Lanka Tourism twice over and awarded Best Luxury Hotel, Sri Lanka at the Business Destinations Travel Awards 2012, is situated in a central location in Colombo 45 minutes away from the Bandaranaike International Airport. 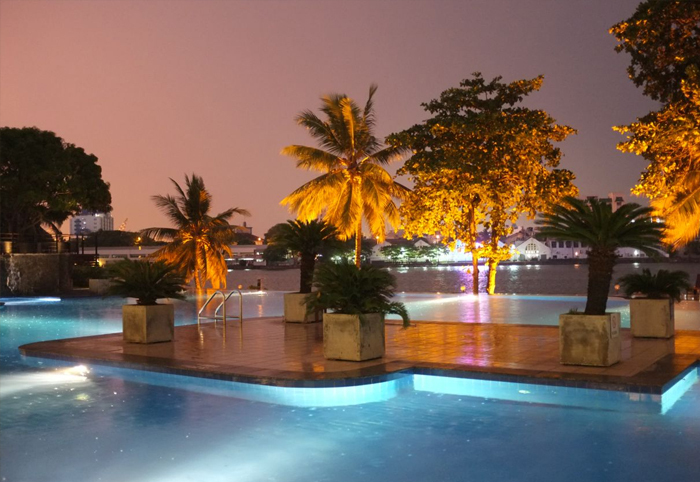 Cinnamon Lakeside boasts the largest city swimming pool, spectacular landscaping and an atmosphere of adventure. Hotel has 10 spectacular restaurants offering different specialty cuisines such as Thai cuisine, Chinese cuisine, International Cuisine, Mediterranean Cuisine also home to a floating restaurant called "8° on the Lake". 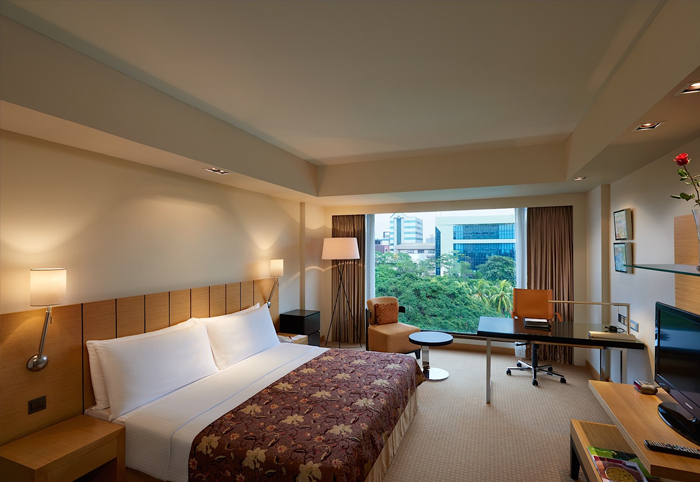 Most of the 346 rooms come with expansive private terraces with the views of Beira Lake or the Skyline of Colombo or the beautiful poolside. Rooms are categorized as Superior, Executive and Premium and Suites are categorized as Executive, Cilantro and Presidential. All Rooms and Suites are equipped with facilities such as en-suite bathrooms, A/C, IDD telephone, satellite TV, mini-bar, tea / coffee making facility, high speed internet access, in-room Safe and 24 hour room service. 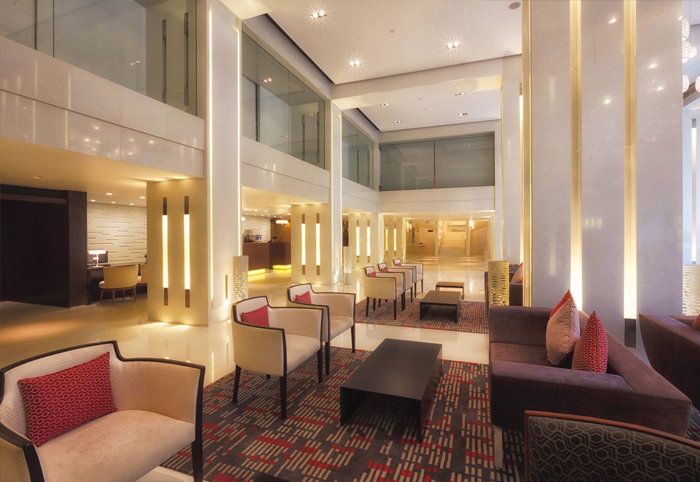 The Executive floor located on the seventh floor, has an Executive Club lounge and 24-hour business center that caters for the business traveller. Other facilities include The Library – a contemplative, book-strewn lounge by day, and a small and sumptuous nightclub by night; 7 degrees North restaurant & bar, spacious lobby lounge with bar, ballroom, shopping arcade, large swimming pool with children's pool and swim-up bar, fitness and health club, three floodlit tennis courts, two a/c squash courts, volleyball, and jogging track. 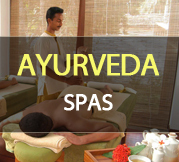 The Azmaara Spa offering a range of relaxing massages and beauty treatments is the latest addition to the hotel. 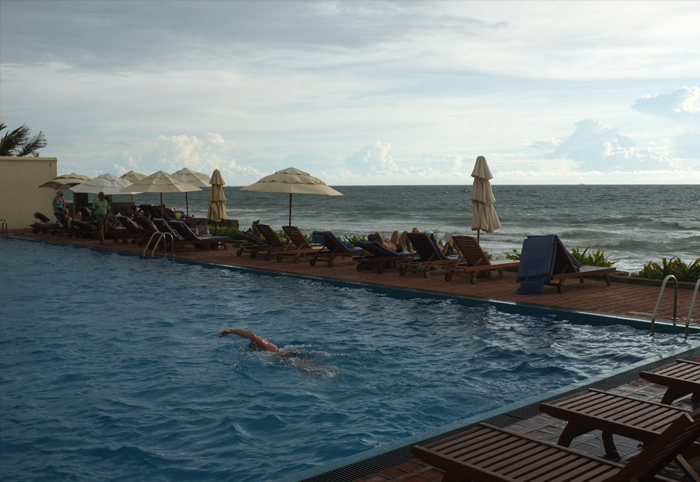 Taj Samudra is a five-star hotel in Colombo, located approximately 45 minutes away from Bandaranaike International Airport. 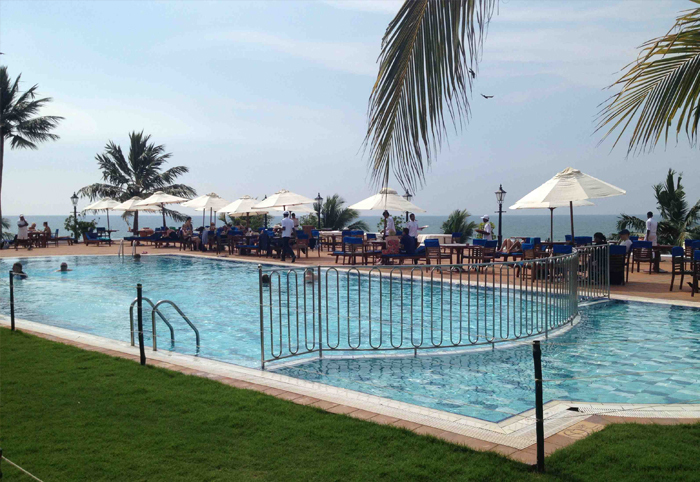 Taj Samudra has 300 rooms and suites with 11 acres of landscaped gardens and with views of the historic Galle Face Green and the Indian Ocean or city. 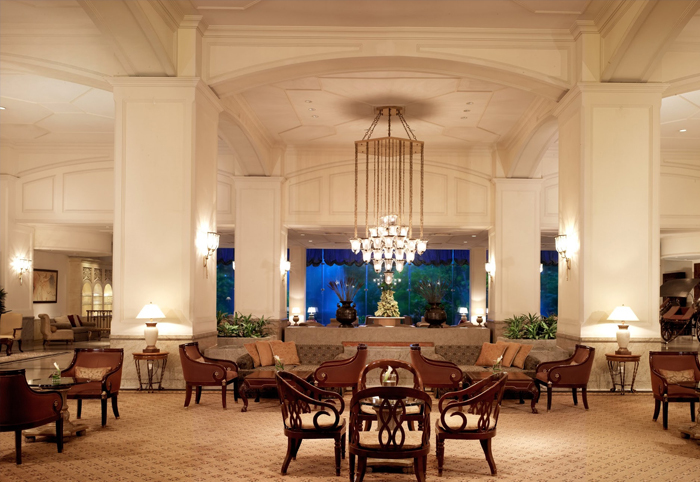 The 300 rooms include 147 Deluxe Rooms, 57 Luxury rooms, 71 Taj Club rooms, 4 Executive suites, 15 Deluxe suites, 3 Luxury suites, 2 Grand Luxury suites and ultra-luxurious TATA suite - the only one of its kind in entire Sri Lanka. In-room facilities include en-suite bathrooms, A/C, satellite TV, IDD telephone, mini-bar, tea/coffee making facility, high speed internet access, in-room safe and 24 hour room service. Taj Samudra offers six restaurants providing varied dining options namely "Latitude"- an all-day multi-cuisine restaurant; "Navratna"- an Indian specialty restaurant, "Golden Dragon"- serving Szechuan cuisine, "Yumi" – serving Japanese cuisine, "Lattice" – the lobby lounge and the "Pebbles" – the latest addition to the Colombo's lounges. 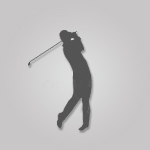 Other facilities include a well-equipped business center, swimming pool, several bars, night club, fitness center, squash courts, floodlit tennis courts, beauty salon and shopping arcade. There are conference facilities, seven banquet and meeting rooms including a 140 year old heritage block with Colonial period architecture. 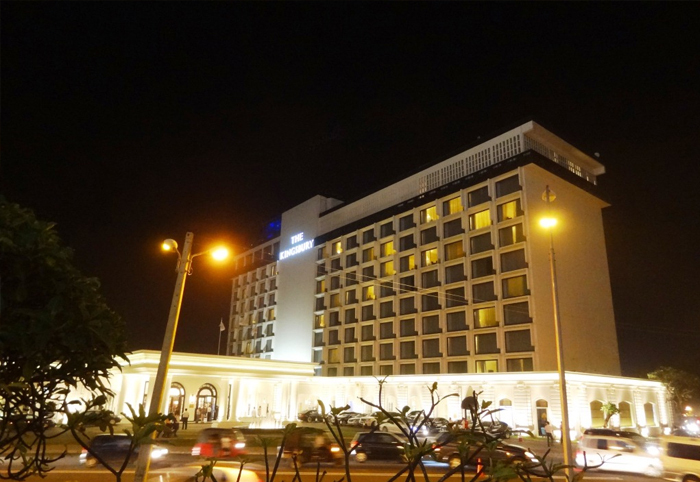 Awarded the title of Sri Lanka's Leading Hotel and Sri Lanka's Leading Business Hotel at the World Travel Awards, Hilton Colombo is centrally located in Colombo's business district overlooking the Indian Ocean and Beira Lake, just 45 minutes away from the Bandaranaike International Airport. 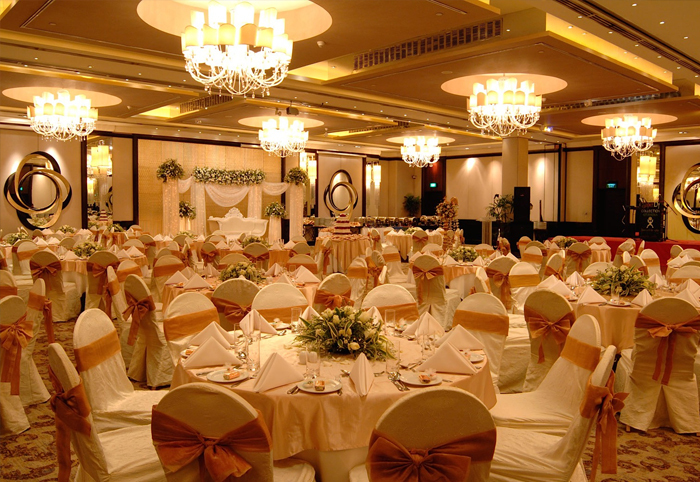 This five star multi-story hotel is directly connected to the Colombo World Trade Center via a bridge and offers 25 venues for business and social functions including six meeting rooms, seven function rooms and the Grand Ballroom which is the only pillar-less venue in Colombo which can accommodate up to 900 guests. 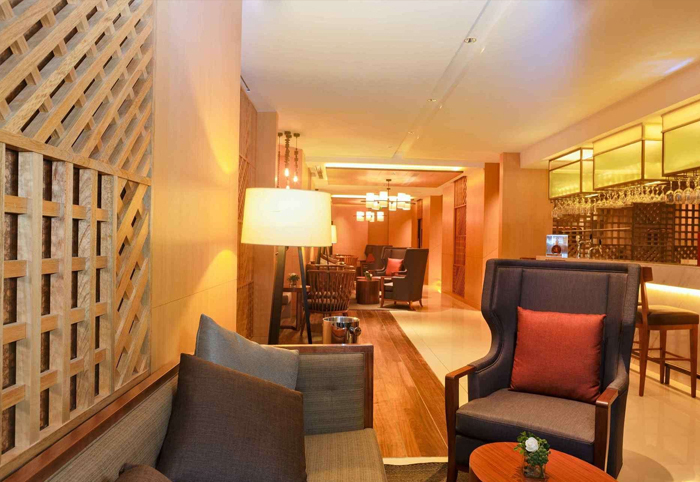 Hilton Colombo boasts eight specialty restaurants and bars including Il Ponte - Sri Lanka's only Italian trattoria and Curry Leaf - serving its famed Sri Lankan cuisine. The Echelon Pub provides a colonial style setting for guests to relax while sipping beers, playing pool or watching sports on TV. 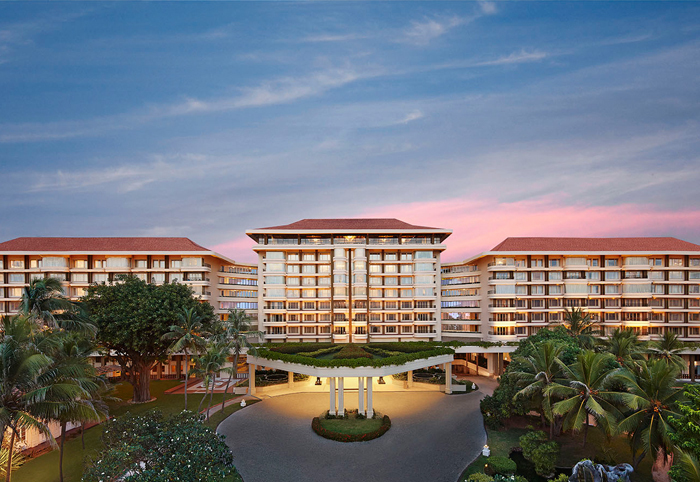 Hilton Colombo offers other facilities such as a fully equipped fitness center, sauna, hydro pool, Jacuzzi, tennis court, 90 ft. long swimming pool and kid's pool, well-equipped 24 hour business center and a shopping gallery which has an array of shops where one can purchase tea to precious jewelry. 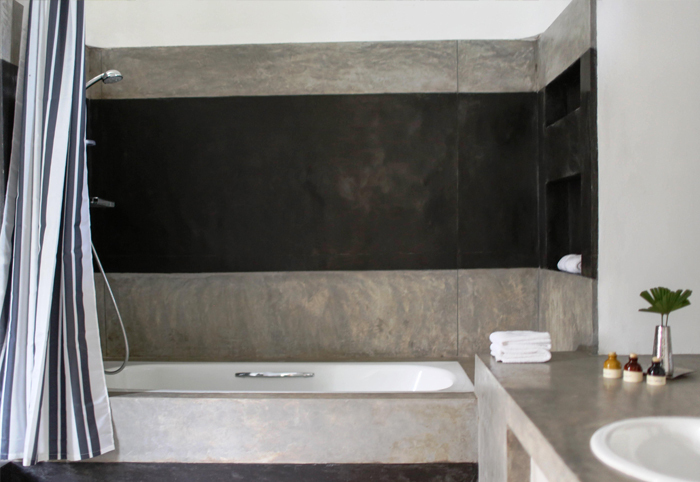 Rooms are equipped with facilities such as en-suite marble bathrooms with bathtub and showers, A/C, satellite TV, IDD telephone, mini-bar, tea / coffee making facility, 24 hour room service, high-speed internet access and in-room safe. 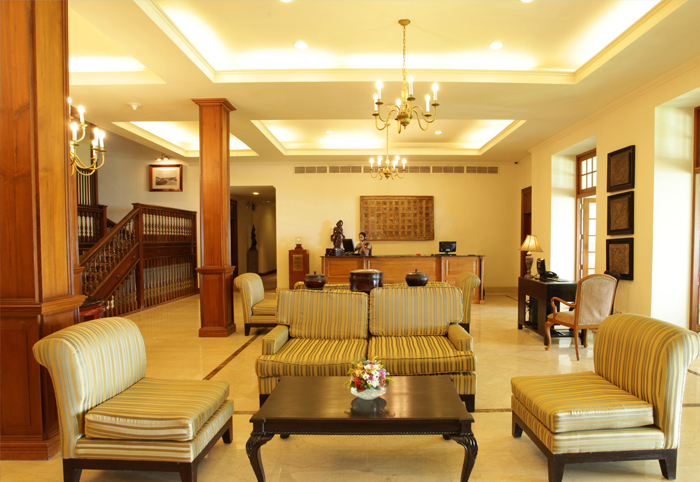 Another five star hotel in Colombo situated approximately 45 minutes away from The Bandaranaike International Airport. 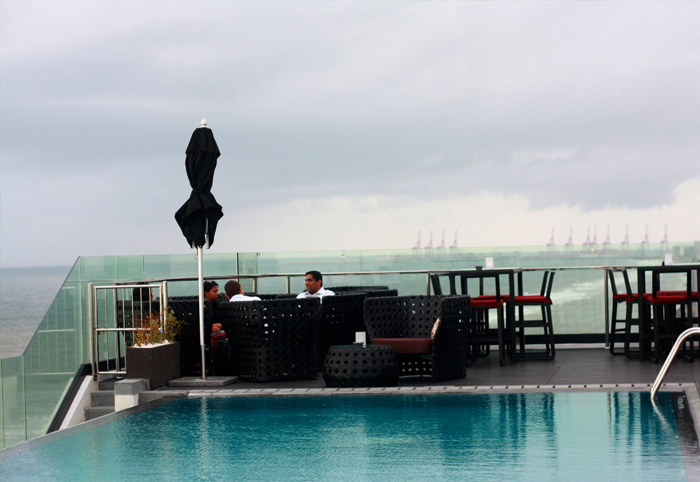 This hotel offers 450 rooms with magnificent views of the Indian Ocean and the Colombo Skyline. 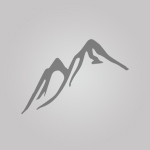 Hotel has five restaurants, one pub and one bar offering many dining options to the visitor. 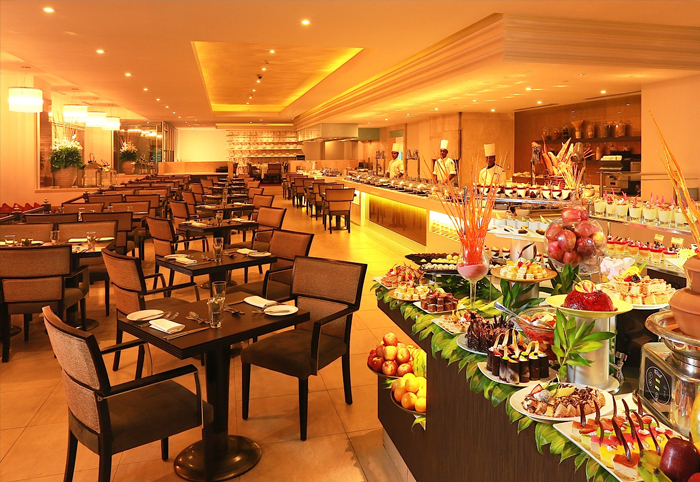 "The coffee shop" offers daily buffet for breakfast and lunch and also has an A la Carte Menu and offers popular Asian Specialties. 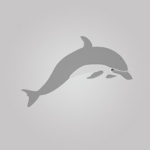 "Flavours" Indian restaurant offers Indian cuisine while "Sheherezade" offers Authentic Arabian Cuisine. 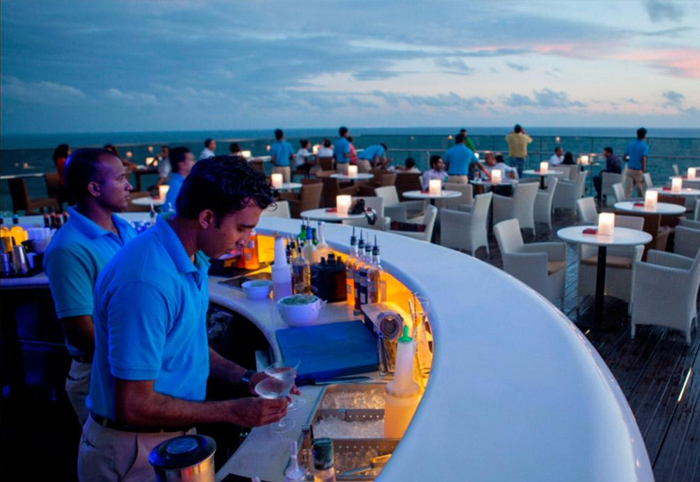 The "California Grill" has the best seafood and steaks on the roof top. "Café 64" pastry Shop is quite popular for the wide range of delicious pastries and sandwiches. 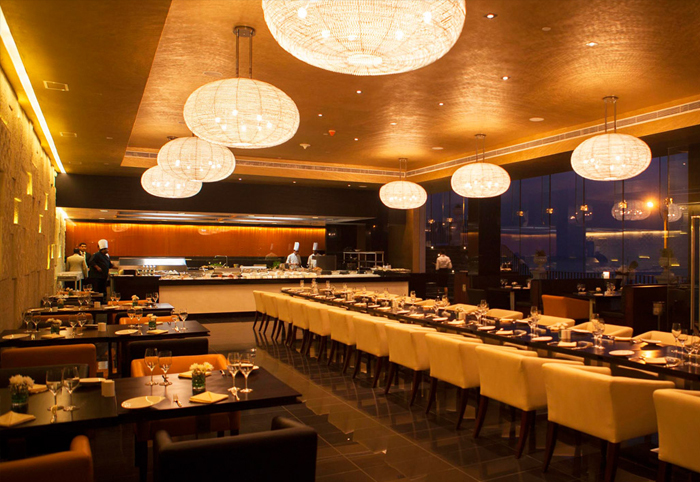 "Margarita Blue" offers tantalizing food and outstanding beverages. 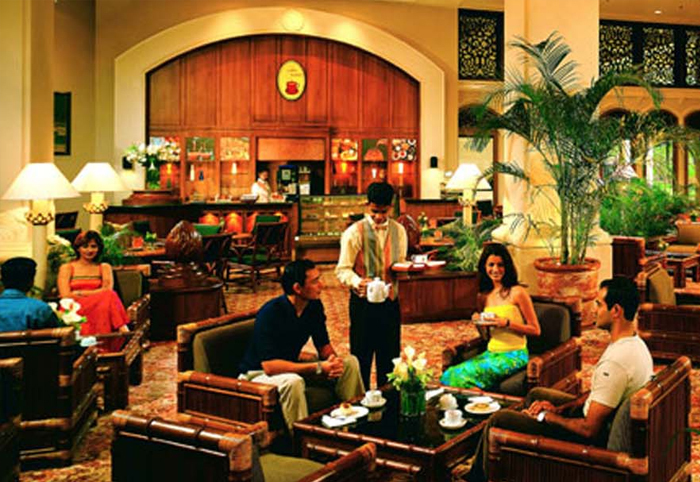 "Lobby Bar" is a great place to meet and socialize and enjoy high tea in the afternoon. 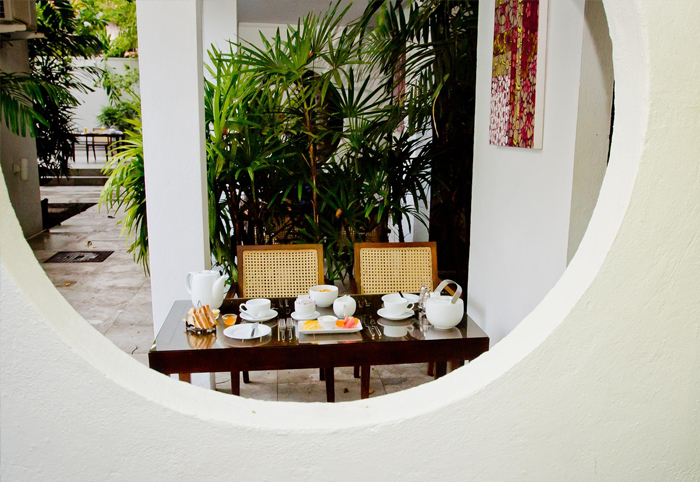 All rooms are equipped with facilities such as en-suite bathrooms, A/C, IDD telephone, flat screen TV with satellite channels, mini-bar, tea/coffee making facility, high speed internet access, in-room safe and 24 hour room service. 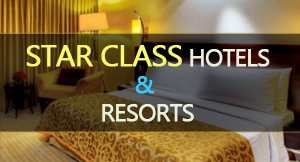 Hotel offers other facilities such as a health club with a fully equipped gymnasium and a sauna, swimming pool, body care & massage therapy, tennis court, laundry & dry cleaning services and floral arrangement services. 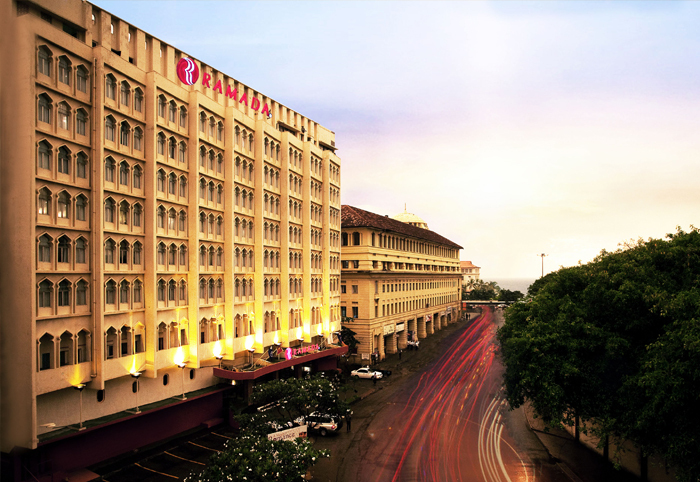 Ramada Colombo is a 4 star hotel located in Colombo, approximately 45 minutes away from the Bandaranaike International Airport. 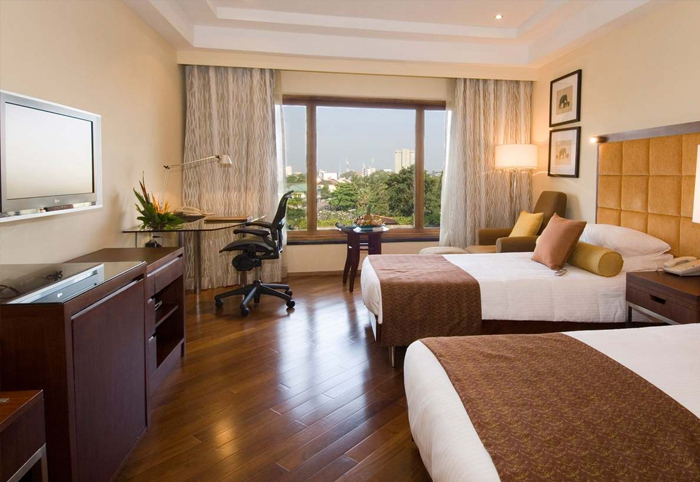 Ramada Colombo offers 94 rooms offering smart luxury. 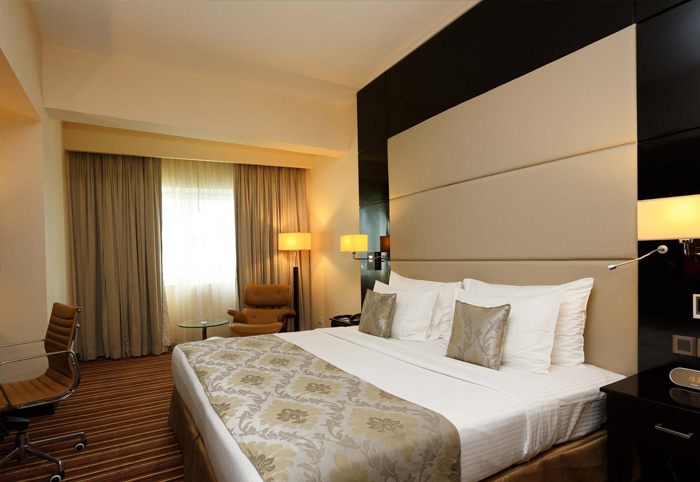 In-room facilities include en-suite bathrooms, satellite TV, IPTV facilities with Video on Demand and ordering of services online, IDD telephone, mini-bar, tea / coffee making facility, wi-fi internet connection, 24 hour room service and safety deposit boxes. 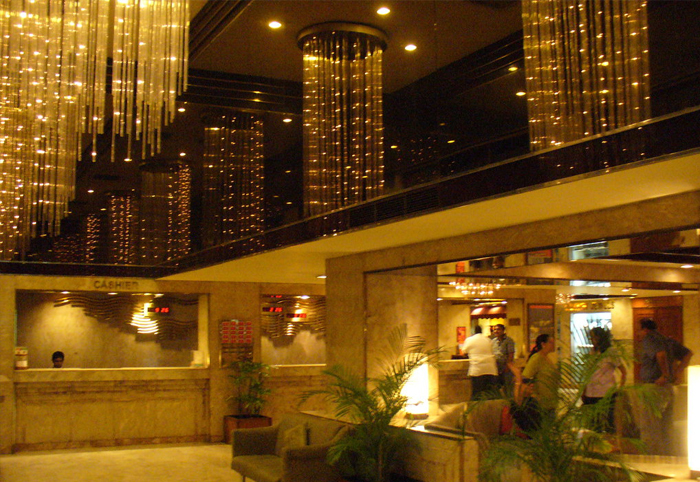 Ramada has five restaurants and lounges offering several dining options. 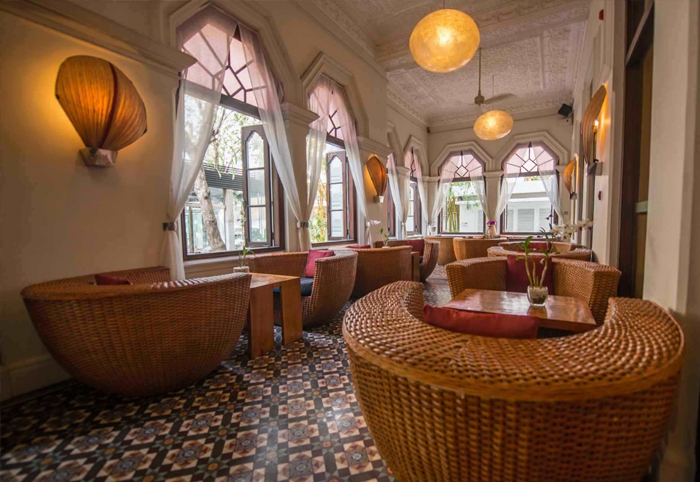 "Gardenia Coffee shop" serves global cuisine, "Alhambra" serves North Indian dishes, "Oasis Lounge" to enjoy a beer or fine spirits, "The Poolside" to enjoy some delicious tapas and "Baked" the new patisserie. 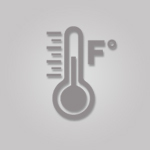 Other facilities include a swimming pool with Jacuzzi, business center, conference facilities, sauna, fitness center, travel counter and the gift shop. Bandaranaike International Airport overlooking the Indian Ocean and the location is an ideal first or last stop in a holiday to Sri Lanka. 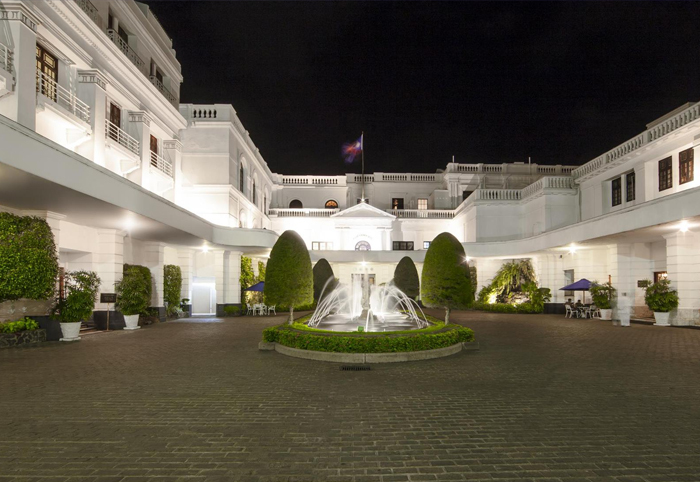 There are 275 en-suite rooms and suites situated in the Governor's Wing, Bay Wing and Sea & Garden Wings. All rooms are equipped with facilities such as A/C, IDD Telephone, satellite TV, mini bar, Tea / coffee making facility, high speed internet access, 24-hour room service, laundry and valet service. 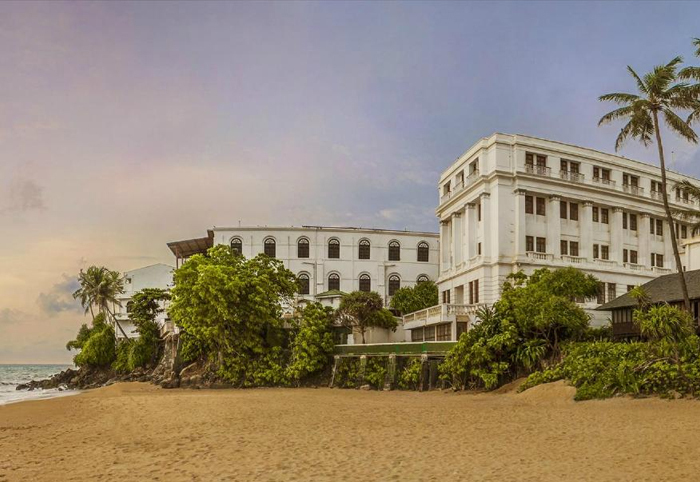 Mount Lavinia Hotel takes pride in their cuisine with international and local chefs providing a range of menus and local head chef, Pubilis, who joined the hotel in 1957, is now also a famous TV personality and hosts his own Sri Lankan cookery show on TV. There are three main dining venues – "Sea Food Cove" located on the beach offers a sea food market concept where guests choose from a range of fresh seafood cooked to their preference; "The Terrace" where guests are treated to the Governor's High Tea at sunset and romantic dining under the stars at night; and "The Governor's Restaurant" that serves up a mix of Sri Lankan and international cuisine. There are several indoor and outdoor bars. 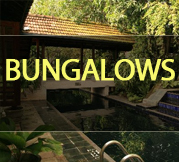 Other facilities include the Little Hut nightclub, the Coconut Spa that offers a range of relaxing therapies, Yoga classes, gymnasium and a swimming pool with a kid's pool overlooking the bay and Colombo's skyline and other sports facilities such as mini-golf, pool, beach volleyball and table tennis. 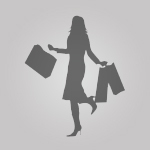 Further there is a well-equipped business center and a shopping arcade with several jewelry and souvenir shops. 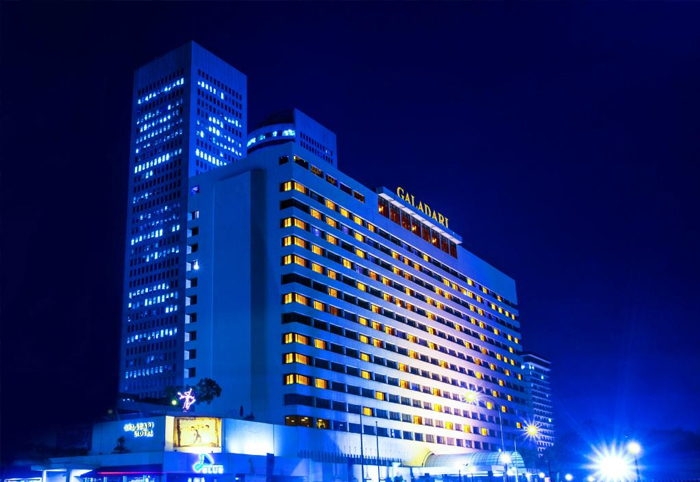 Galle Face Hotel is an award winning iconic historic hotel built in 1864, situated in the heart of Colombo, along the seafront facing the famous Galle Face Green, just 45 minutes away from Bandaranaike International Airport. 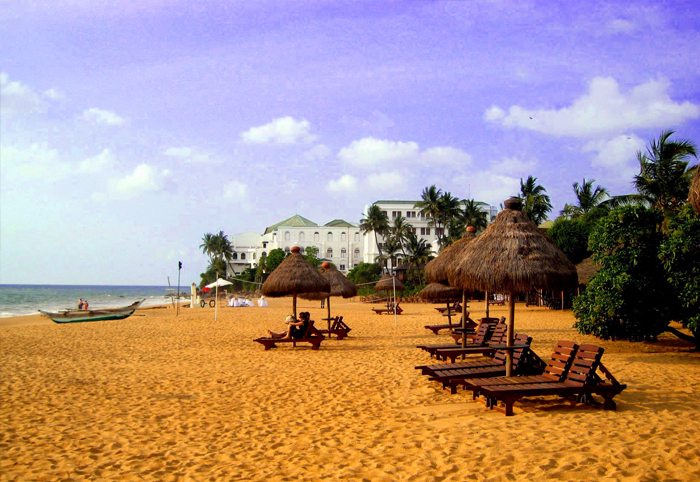 It is probably the only Hotel in the world which has a setting of a sea front city Hotel combined with the features of a beachside resort together with a unique heritage. 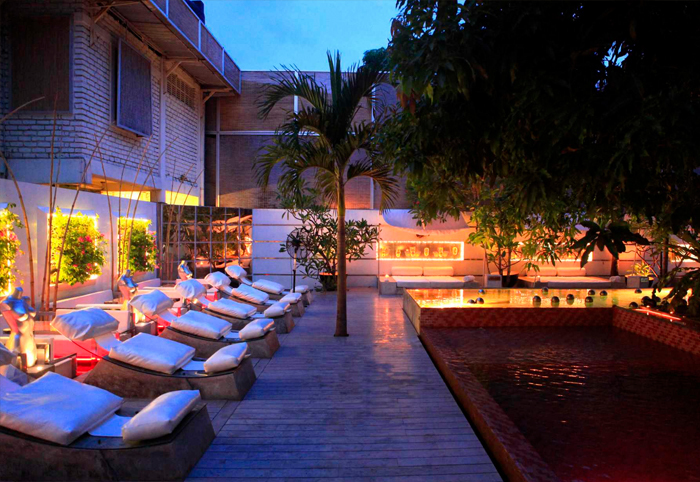 In 2012 it became the first Hotel in the country to be featured on a postage stamp. 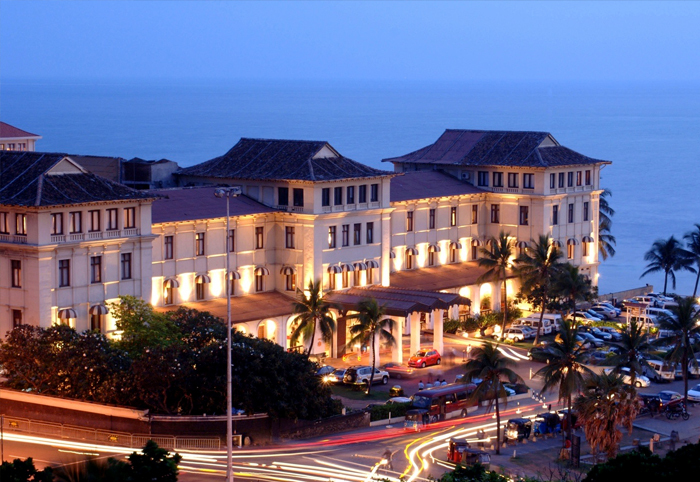 The Galle Face Hotel, once the mansion of a British Governor, is a masterpiece of Victorian architecture. There is an ongoing restoration project in its North Wing and however the South Wing has continued to be in operation as usual throughout the restoration. 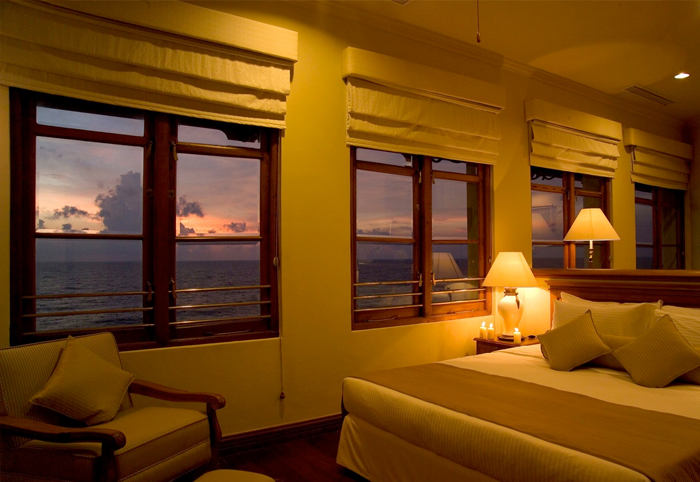 The South Wing comprises of 81 rooms including 12 suites with ocean views. Seven new conference and meeting centers have also been added to the South Wing which was opened in mid April 2014. Hotel offers in-room facilities such as en-suite bathrooms, A/C, overhead fans, mini-bar, tea/coffee making facility, TV with satellite channels (only the Suites have flat screen TVs), wi-fi internet, room service and laundry service. 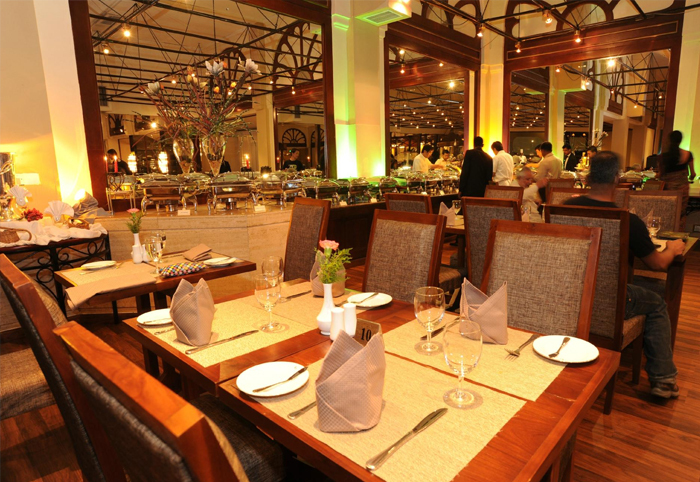 The Galle Face Hotel offers a wide selection of restaurants and bars including "The Verandah" Restaurant (western and Oriental cuisine), the "Sea Spray" fish restaurant, "The 1864 Room" (fine-dining restaurant) and "In on the Green" (casual dining). 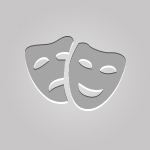 Also it is home to the Green British pub and the Amuseum night club. 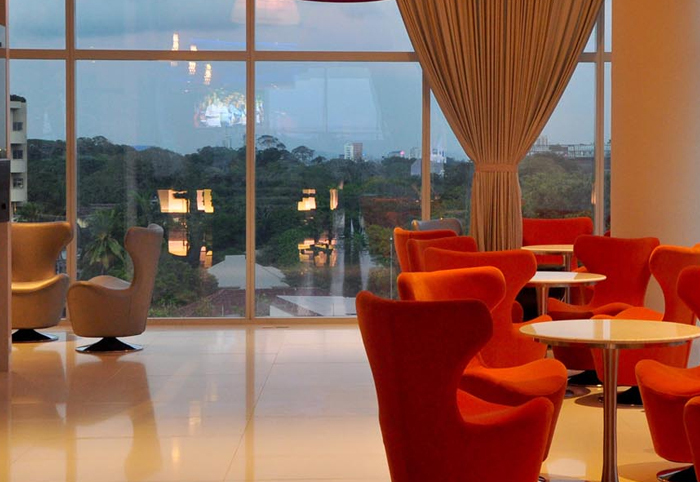 There is a wine lounge with underground wine cellar (designed for connoisseurs of fine wines, cheeses and cigars), snooker room, a spa inclusive of a salt water swimming pool and gym; a small museum and art gallery, extensive banqueting and conference facilities, business center, childcare service, butler service and a small Piazza shopping arcade. 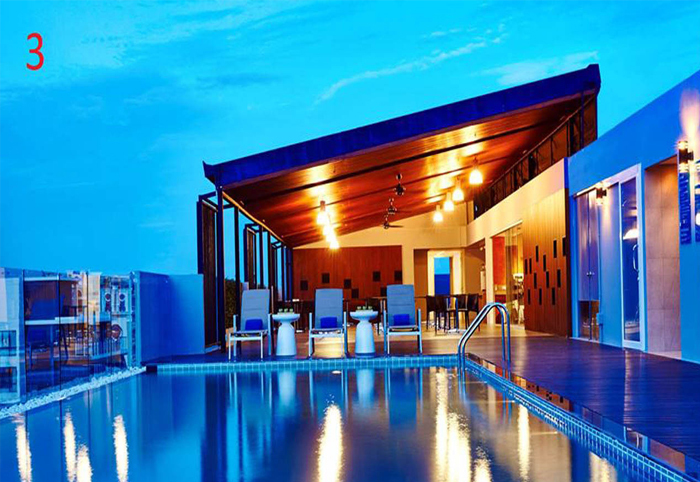 Cinnamon Red is a contemporary city hotel in Colombo, where you find the design, elegance and comfort of a 5-star hotel for a mid-range budget. 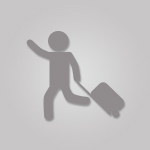 Cinnamon Red is conveniently located approximately 45 minutes away from Bandaranaike International Airport with easy access to many attractions, restaurants, shopping centers, historical sites and nightlife venues. 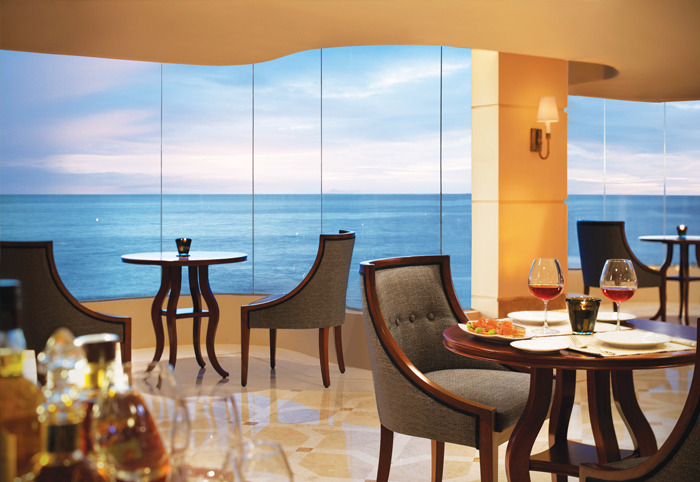 Cinnamon Red offers luxury-level 242 rooms and a spacious luxury suite with magnificent views of the city and sea. In-room facilities include en-suite bathroom, A/C, Tea/coffee making facility, mini-bar, complimentary Wi-Fi internet, IDD telephone, 40 inch TV IPTV and safety deposit box. Cinnamon RED offers three dining venues; "Cloud Red" the rooftop bar & lounge has indoor and outdoor bar counters with separate seating areas, "StirRED" the lobby restaurant offers food even late in the night and Kotthu a Sri Lankan specialty is quite popular in here and "FlavouRED" main restaurant of the hotel offers international cuisine. 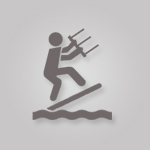 Other facilities include a rooftop infinity pool and the "PoweRED" gymnasium on the rooftop. 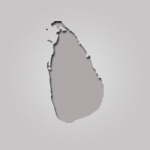 OZO Colombo is a 158-room city hotel situated in Colombo overlooking the Indian Ocean, 1 hour away from the Bandaranaike International Airport. 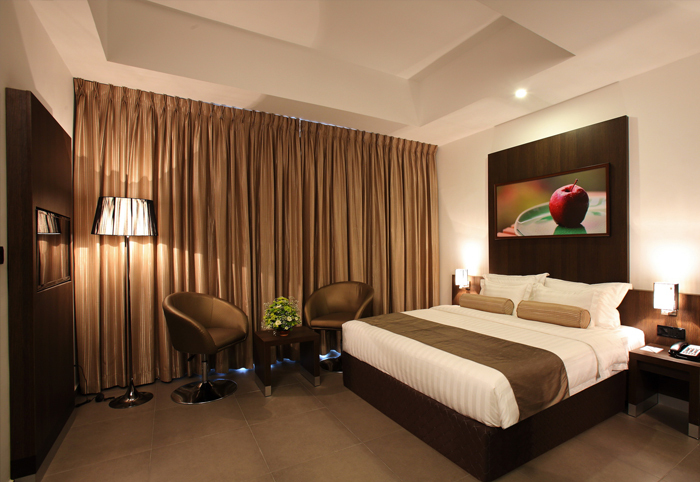 This contemporary city hotel offers stylish cozy bedrooms and modern facilities at an affordable price. 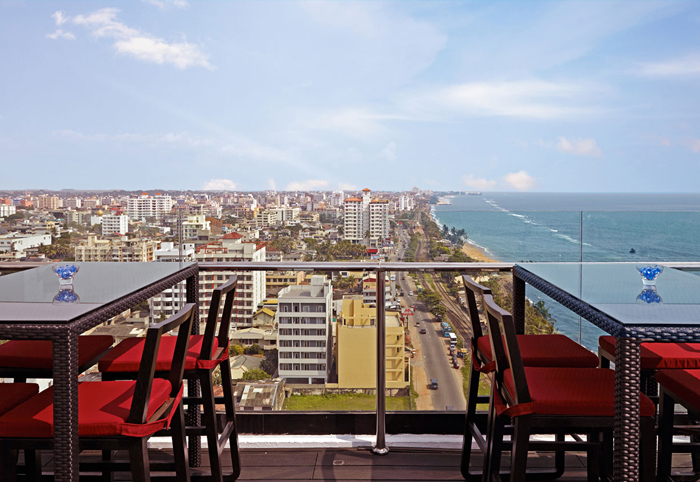 Some of the rooms have sea views while other rooms have Colombo city views. 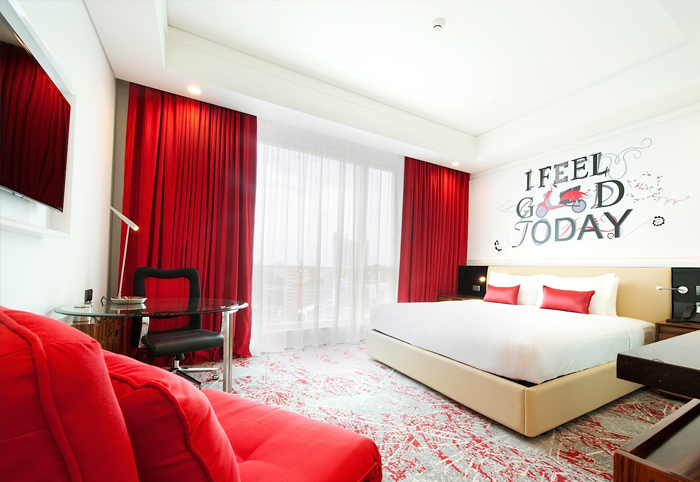 In-room facilities include en-suite bathroom, A/C, Tea/coffee making facility, mini-bar, complimentary Wi-Fi internet, IDD telephone, multimedia connectivity panel with HDMI, USB and audio ports, 40 inch LED TV, IPTV system, safety box and ironing facilities on request. "Eat In, Chill Out" restaurant offers local and international flavors and "Eat", All Day Dining restaurant offers tasty but healthy food and also you can pick up a quick bite at any time when you stop at "EAT2GO Grab & Go"
"ON14" Rooftop Bar & Lounge has stunning ocean views and a great place to sit back, relax and enjoy a snack and drinks. 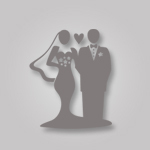 Other facilities include a rooftop infinity Swimming pool & lounge, fitness center, meeting room for business travelers, function space for up to 170 guests, web bar and information lecterns providing destination content, 24-Hour front desk services and babysitting service on request. 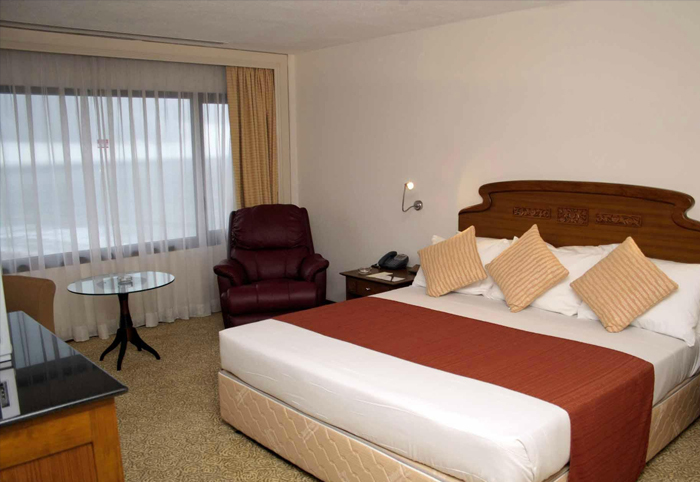 BEST WESTERN Colombo is Part of the world's largest hotel family and it is located conveniently approximately 30 minutes away from the Bandaranaike International Airport. 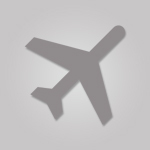 Hotel offers contemporary accommodation facilities and includes a choice of twin, double or family rooms. 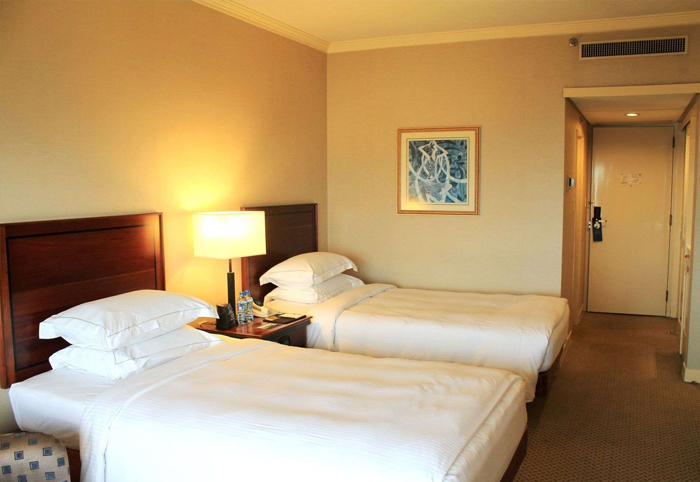 Beautifully decorated rooms offer the convenience of home and perfect for both business and leisure travelers alike. In-room facilities include en-suite bathrooms, A/C, free high-speed internet access, IDD telephone, 32′ LCD TV, mini-bar, safety deposit boxes, tea/coffee making facilities, laundry & dry cleaning facilities and room service from 06.00 am to 11.00 pm. 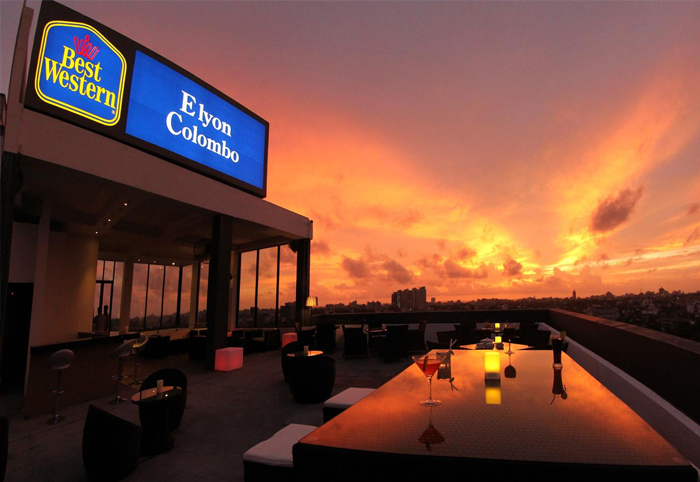 BEST WESTERN Elyon Colombo offers a full service restaurant catering to both local and international cuisine and a bar offering guests their favourite beverages. 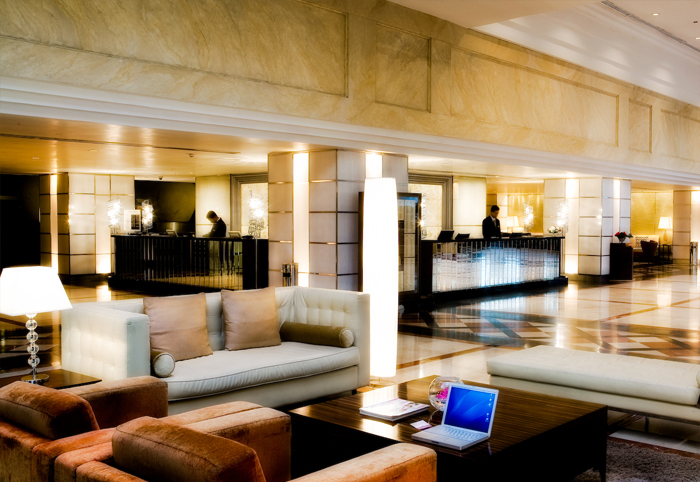 Hotel offers a business center for guests travelling on business meetings. 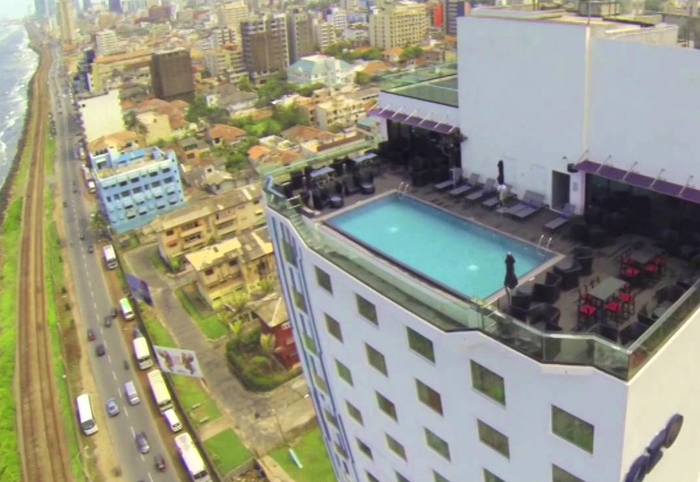 The hotel provides free entrance to the roof top gym. 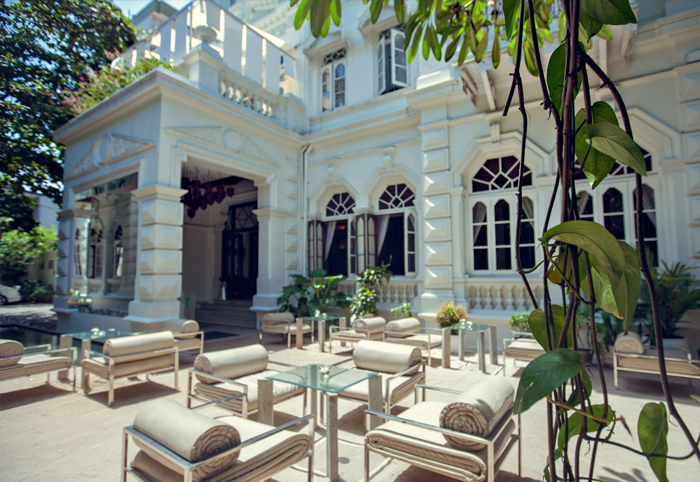 Casa Colombo is a Retro-chic boutique hotel situated in Colombo, approximately 45 minutes away from Bandaranaike International Airport. 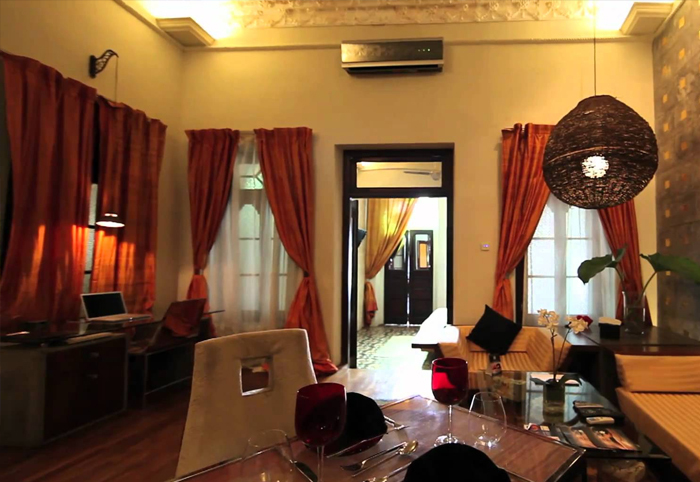 This is a contemporary designer style hotel which blends the charms of a magnificent 200 year old Moorish mansion containing Italian and Indian mosaic floors, carved arches, moulded ceilings and Moorish styled balconies and is one of the few remaining treasures of its era. All 12 suites are spacious and unique with distinct designer style, since every piece of furniture, décor, fabric and lighting has been custom designed by the hotel's founder Lalin Jinasena. 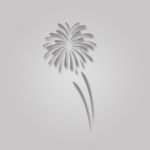 Therefore the exclusive style of Casa Colombo cannot be seen or found anywhere else in the world. 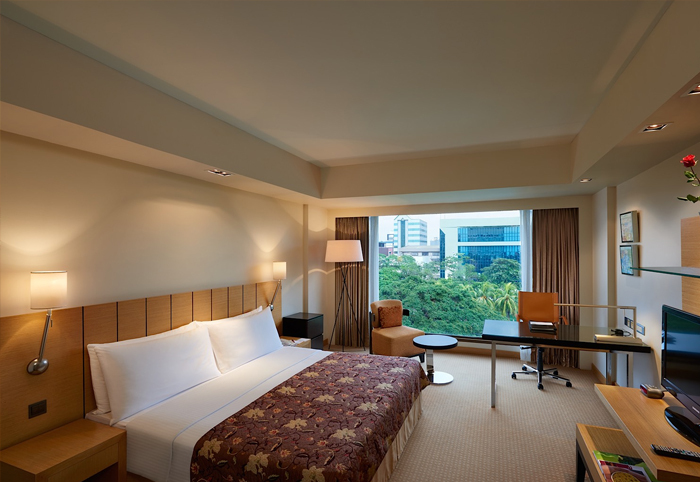 In-room Facilities include 29 inch flat screen TV, a high fidelity sound system by Nakamichi and music collection ranges from Paris Jazz, to salsa, clubby tunes, to chill out lounge music. 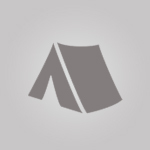 Other facilities include Super King Size (7ft x 7 ½ ft) bed, en-suite bathrooms and complementary Wi-Fi. 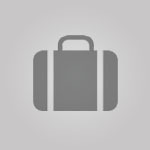 Corporate Suites are equipped with business desk with a laptop, fax, printer, scanner and photocopy machine. 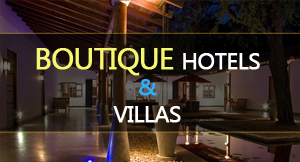 Ceilao Villas Colombo City Escape is modern day boutique hotel, located in the heart of Colombo, approximately 1 hour away from the Bandaranaike International Airport. 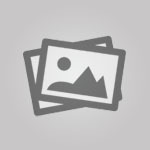 This is a 6 bedroom luxurious property with a fusion of minimalist design with vibrant and exotic features blending the original architectural features of the ancestral home. 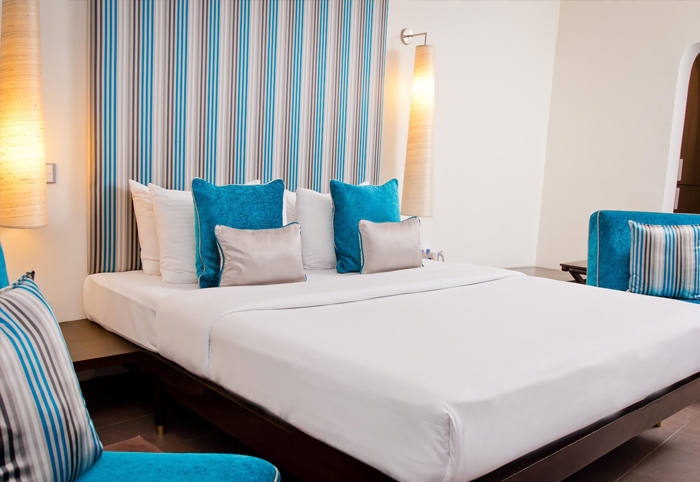 Each room is designed individually with personal colour palettes and custom made furnishings. Room choices include a suite called "Imperial suite" which has a spacious living room, four classic rooms and the Voyager room. Hotel utilizes the best local produce to prepare a wide selection of local and international meals featured on the a la carte menu. 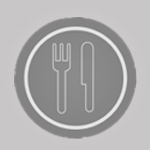 Guests have the option of using this menu as a guide for meals available during breakfast, lunch and dinner or can discuss personal suggestions with the chefs, who will do their best to deliver the requirements. Cocktail foods and beverages are available at the poolside cabanas at any time of day. Guests are welcome to bring their own alcoholic beverages. 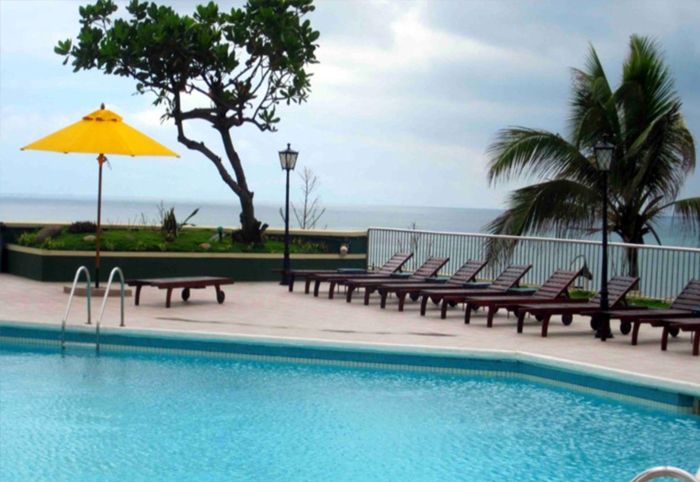 Hotel offers facilities such as a swimming pool, sun lounge at the roof top terrace which also has a plunge pool, a small library, Wi-Fi internet, room service and laundry service.